Conscious Aging as a Spiritual Practice encourages every day spirituality as a better alternative to simply getting old. Q1: What does NEW FUTURES and Conscious Aging actually offer me? A: An opportunity to improve your experience of the days and weeks of the rest of your life through consciously engaging your innate, true spirit every day. Our practice offers a NEW FUTURE to people who know, at some level, that it’s time for something more, different, and better for the rest of their life than what they have experienced to date. Something new! 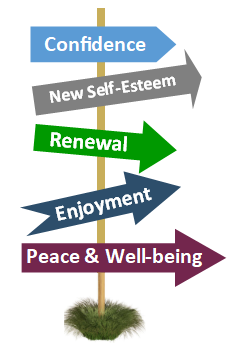 It is based on a client-centered program we call Conscious Aging as a Spiritual Practice (CASP). Sound too good to be true? Well, it isn’t. Ask yourself: “Do I really want 2019 to be a repeat of 2018 … or any other year?” Alternatively, “what stops me in 2019 from doing something I’ve always wanted to do, but couldn’t because…? (Fill in your own long-squelched desire, and inability to pursue it.) Relatedly, ask yourself, “what part, or parts, of my already-lived life would I like to let go of now?” …so I can begin in 2019 to do something (name it) that I really want—or believe I might like? Q2: What is Conscious Aging as a Spiritual Practice? A: The key words are conscious and practice. 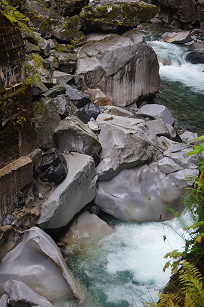 CASP entails becoming increasingly conscious of, and paying close attention to those questions, and what they signify. Typically, they relate to hopes, dreams, aspirations, and needs that nurture us and give us life as we age. Or other notions that drain it from us. In response, CASP entails increasingly conscious motivation and commitment to do more of what nurtures and less of what drains. The more we do this as a regular practice, the better life gets for us, by our own measures of “better.” As clients increasingly experience the benefits of doing what nurtures their soul, and less of what doesn’t, the easier and more natural it gets to do more. That is, the more it becomes a spiritual practice; one that nurtures their deepest selves. What do you want?… Really want? …Now! This is not a trick question. Moreover, it is one that becomes increasingly important as we approach midlife or retirement, and at every other major life transition. Around age 45-ish, many people begin to sense a certain anxiety or dissatisfaction, an angst, a slump, insecurity. Feelings that often compound with retirement, even though they may be “successful” by many measures this funk is common; and can slide into depression. The good news is help is available. I am thrilled to announce our new retreat and workshop season because I really enjoy talking with people on the same 2nd half of life journey as me. Although talking to real people is my primary passion, I spent the past 16 months squirrelled away writing a book about the practical application of things we talk about in our events. That is, aspects of our unfolding and maturing journey from midlife through the process of settling into retirement as a delightfully new life stage. We are looking for your feedback so we can offer what may be most relevant to you, so please take our survey, here! We offer private, experience-based client-centered, at your own pace coaching to help you find greater satisfaction at midlife and beyond. 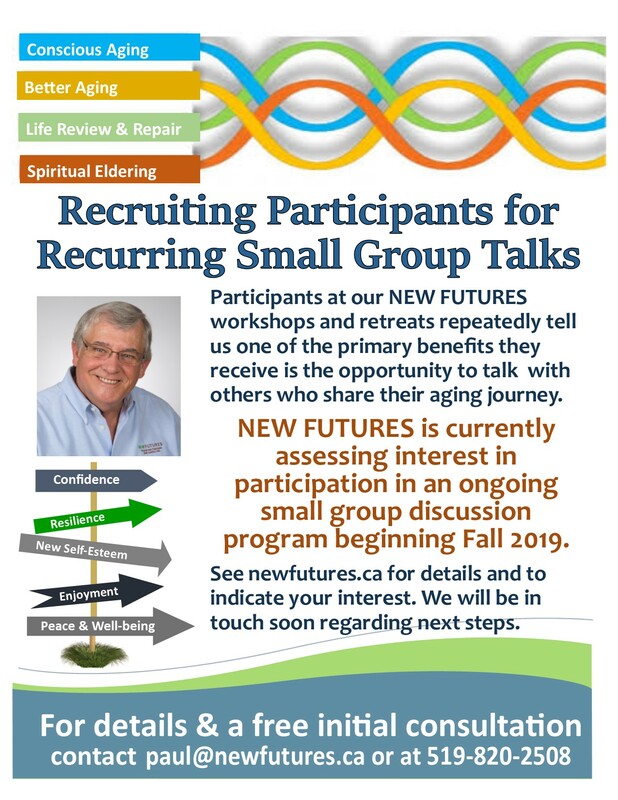 Our individualized coaching and spiritual accompaniment programs provide practical insights and resources to guide, ground and hasten maturing spiritual contentment for individuals, couples, and small groups of friends. We shared a lot of wisdom at our last Circle Discussion…lots of participants said they were affirmed they are on the right path, and appreciate the reminder to think about your values and what is really important going forward into the last third of life. A smooth transition to satisfying retirement is an intentional DIY process: Something to which many look forward with much anticipation. But it is not an automatic or pre-scripted shift. Nor is it a life as usual event. Neither is it an extended vacation. Nor is it anything to dread. Any crisis is optional. If you are approaching retirement sometime soon, or are one of many retirees experiencing difficulty adjusting to retirement as a new stage of life, this event is for you. Current research shows many boomers are unprepared for the scope and depth of the lifestyle changes characteristic of this major life change; professionals and paraprofessionals especially. 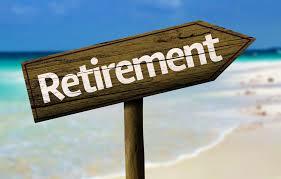 It also affirms the journey to retirement goes smoother and faster for those who are prepared for this multi-phased process. This Wisdom Circle discussion offers insight into the nature, character and content of new retirement options and realities—which are much different from the old retirement many people fear and/or dread. It offers new experience-based wisdom to debunk stereo-typical myths and fears common to the old, outmoded view of retirement. Also, we offer insight into making an effective and timely transition from a career-structured and /or job-centered lifestyle to an unstructured retirement lifestyle of your own making. Our focus will not be on finances, except to acknowledge the importance of financial planning. There will be a display and sale of relevant books. This Sage-ing© program offers relief from confused, sometimes debilitating, midlife angst by replacing it with renewed meaning, purpose, identity, and direction for life’s 2nd half. 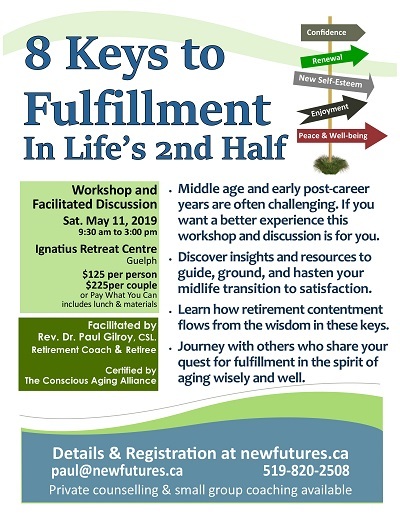 Participants will benefit from an empowered, richer, and more fulfilling view of, and attitude toward, their next phase of life as a result of an easing of distressing midlife concerns and anxieties combined with an increased sense of renewed possibility, focus, and self-worth. “Older Adults” means those in the second half of life. Those 50+ folks transitioning into later life who maybe believe all the negative images society imposes on aging. We help you make the best of all your life transitions. What if the best time of your life is yet to come? Understanding midlife and beyond as a rewarding and profoundly satisfying life phase can be difficult to do in our youth-obsessed culture. As we reach midlife and beyond, many of us experience an urge to respond to that niggling feeling inside that may be calling us to consider important things that are missing on our life journey. Continuous conscious maturation means ongoing engagement with the process of growing older well and wisely through each stage of life. Whether you are looking for personal growth or to rejuvenate your life, your career, or the dynamics of your organizational team, Conscious Aging will help move you forward with a renewed sense of purpose and motivation.